As part of its aspirations to build a regional navigational system equivalent to Global Positioning System of the US, ISRO is set to send its second satellite from Sriharikota tomorrow, which would help put in place the Indian Regional Navigational Satellite System. 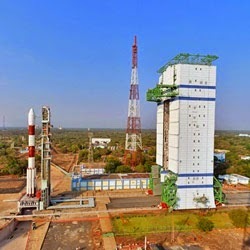 The second of the seven planned satellites for the system, IRNSS 1B, would be launched at 5.14 p.m. from the First Launch Pad of Satish Dhawan Space Centre at Sriharikota, where the countdown for the launch is currently proceeding smoothly, ISRO officials said. The 1,432 kg weighing satellite is being sent on board an XL version of ISRO’s workhorse PSLV, as it was done during the IRNSS 1A launch. This is the sixth time, ISRO is using the XL version of the 44.4 metre-tall PSLV. IRNSS 1B has a mission life of 10 years from the date of launch. ISRO needs to launch at least four of the seven satellites to start the operations of the IRNSS. The national space agency had already launched IRNSS 1A, its first satellite on July 1 last year, and it is presently in orbit. Being developed by India, IRNSS is designed to provide accurate position information service to users in the country as well as the region extending up to 1,500 km from its boundary, which is its primary service area. IRNSS’ applications include terrestrial and marine navigation, disaster management, vehicle tracking and fleet management. IRNSS is similar to US’ Global Positioning System, Russia’s Glonass and Europe’s Galileo. China and Japan too have similar systems named Beidou and Japanese Quasi Zenith Satellite System respectively, ISRO officials said.